Coat a 4-6" cake pan or skillet with high sides with cooking spray. Add 1 Tbsp butter to the pan and place in the oven. 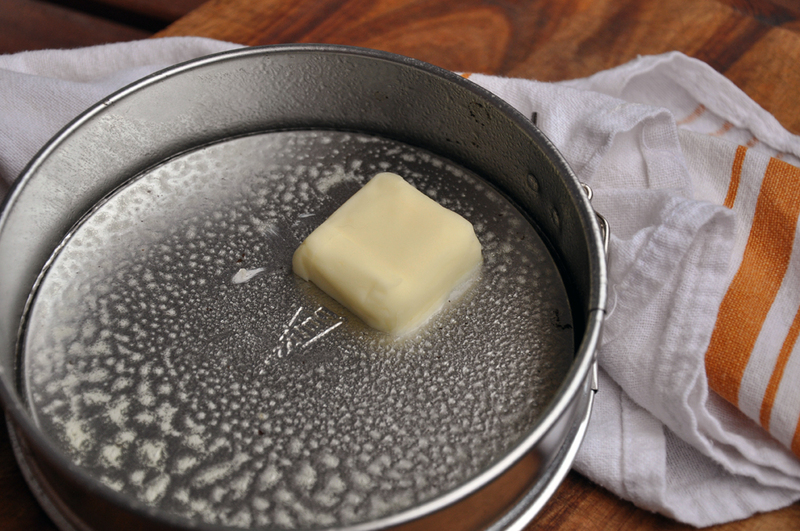 When the butter is melted (but before it burns), remove from the oven and swirl the butter to coat the bottom of the pan. Meanwhile, whisk together flour, milk, eggs, lemon peel and almond extract in a medium bowl. Scrap into the cake pan/skillet and bake 10-15 minutes until it puffs up (hence the name!) and gets golden brown. Meanwhile in a small pot, add remaining 1/2 Tbsp butter and lemon juice and whisk to combine when melted over low heat. 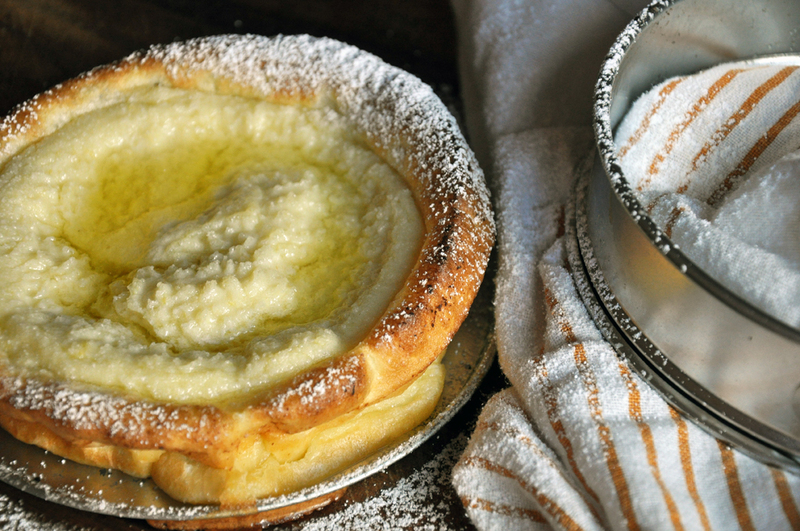 When pancake is ready, remove from the oven, drizzle lemon-butter and then top with sifted powdered sugar. Serve immediately.